Many health practitioners and researchers claim that there is only one sickness, and that is the over-acidification of the blood and tissues caused by the American diet and lifestyle. Our present day food with its abundance of sugar and animal protein, especially meat, eggs and dairy products, causes ver-acidification of the blood. This in turn encourages the proliferation of micro-organisms which have a common origin and go through various evolutionary steps, the first one being virus, then bacteria, then fungus and yeast. This is called pleomorphism. Pleomorphic means “many forms”. Pleomorphism is the foundation of microbiology, and it discredits the germ theory which traditional medicine believes in. Microforms such as viruses, bacteria and fungi are all the same organism at various stages of their evolution. . As the biological environment becomes overly-acidified, the primitive stage evolves to the intermediate stage, and this is bacterial. This culminates in the final stage which includes the yeasts, fungi and molds. These forms proliferate and evolve in a compromised biological environment such as acidified blood and tissues. Try a very simple experiment: what happens when you pull the plug on your refrigerator? What appears first? The bacterial forms, then the yeast, fungus and molds, and all of a sudden everything just decays, which is what occurs in these final anatomical phases. SUGAR, FERMENTATION AND CHRONIC FATIGUE: These microscopic beasties get their energy from blood sugars which our bodies are supposed to be using, and they grow and multiply by eating our bodies’ proteins. Their needs can turn into our cravings. One of the favorite foods of these microforms is sugar. They thrive in a declining pH which is acidic, therefore requiring you to eat more pastas, grains, yeast-containing breads, potatoes and especially high fructose fruits and juice. Fruit is good, but not in a compromised biological terrain, so when you eat fruit it becomes a food for fungus and fermentation. PARASITES: These microforms of mold and fungus mixed with the blood cells can be seen through a microscope and these are found in both healthy and non-healthy individuals. Our bodies are moulding, rotting and basically hosting a parasite party. Actually parasites are the side effects of the more serious problem of over-acidification. Most of the population is infected with these higher development fungal forms and/or parasites. 1) Pig meat including sausage, bacon, salami, and ham are full of colonized fungal and contain the fungi aspergillus ochraceus which produces the mycotoxin Ochratoxin A which is associated with many different documented cancers. Cooking these meats throughly kills most of the fungus, however, cold cuts will begin to grow the fungus again and after a few days the cold meats contain the fungus again. 2) Tobacco contains yeasts and sugars which ferment the tobacco into the form which reaches the human blood and tissues causing disbiosis of the blood and tissues leading to every degenerative disease known including cancer, diabetes, arthritis, etc. Tobacco is bad regardless of how used except for when using tobacco leaves as the American Indian medicine men uses it. They use it as a poultice to draw our poisons out of the body, cure some skin infections and prevent infection from developing in cuts. 3) Mushrooms are not a vegetable but rather the fruiting body of a fungus whose major form of existence, the root-like mycelium, is hidden in the soil. This fruiting body is the means to disperse the seed-like spores of the fungus throughout the blood and tissues. For example edible mushrooms induce bladder cancer. You should never eat raw mushrooms because of this fungus. Cooking mushrooms for a period of time until they at least change color kills most of the fungus. However, if in foods that are leftovers and refrigerated, the fungus will multiple. 4) Corn and all associated products contain over 25 different strains of fungus, all disease causing. Several cancer causing. Corn that is cooked throughly kills most of the fungus. However, cold corn that is put into salads will multiply as the fungus grows rapidly. 5) Peanuts & Cashews contain over 27 different strains of fungus…(high levels of cancer causing fungus). Peanuts baked in baked goods – kills most of the fungus. Peanuts are not wise to eat raw, peanut butter has been tested and different fungus strains have been found in peanut butter. 6) Barley contains the fungi Aspergillus ochraceus which produces the mycotoxin ochratoxin A. This mycotoxin is associated with many different documented cancers.Barley that has been cooked in soups is fine. Cooking kills most of the fungus. Cold barley for salads is deadly. Refrigerating will cause the fungus to multiply even in soups. 7) Animal meat and poultry including beef, lamb, chicken, and turkey contain the fungi Aspergillus ochraceus which produces the mycotoxin Ochratoxin A. It is associated with many different documented cancers. You should only eat meat that has been throughly cooked so that there is not “pink” meat showing. Cooking kills most of the fungi and the body can deal with this small amount of up to 8 ounces daily of any meat. Actually, eating 8 ounces or less of any meat daily is more healthful for many reasons. 8) Alcohol including wine and especially beer contain the fungus Aspergillus ochraceus which produces the mycotoxin Ochratoxin A. Small amounts, 1 small glass a day is fine. 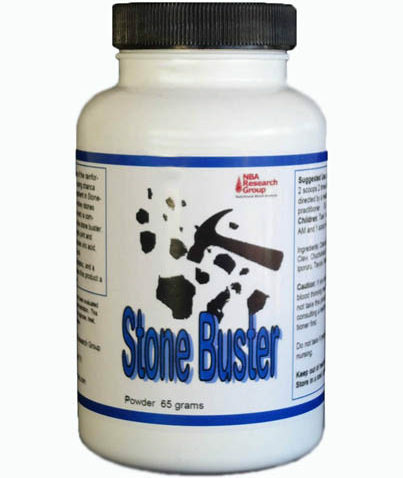 The body can deal with small amount of the fungus. More than 2 small glasses of wine, beer, or alcohol daily can create toxins in the body that can cause serious health problems over time. It will also depress the immune system, causing more colds and illness. 9) Dairy products including milk, cheese, yogurt, cottage cheese, ice-cream, butter, etc. are fully colonized with fungi and contain the fungus Aspergillus ochraceus which produces the mycotoxin Ochratoxin A. These foods are also high in sugar which promotes the production of pleomorphic bacteria, yeast, and fungus. The least of these in fungus is 1% or 2% milk. Heating cheese to be used in macaroni kills most of the fungus. Cold cheese is loaded with the fungus, especially if it has been sitting for sometime. cottage cheese is loaded with the fungus. The immune system of the body can handle small amounts of 1% or 2% milk and heated cheese daily. Yogurt as long as it is made from “live” cultures is fine to eat. As a matter of fact, it is “good” bacteria that actually kills the “bad” bacteria such as yeast in the body. However, eating too much can also have negative effects. Up to 6 ounces a day is fine. 10) Eggs are fully colonized with fungus and contaminated with mycotoxins. Cooking them kills most of them. However, boiling eggs for salads is fine if used at one meal, however, refrigerated eggs or as in egg salad, the fungus begins to multiply again. As long as the grains are cooked it kills most of the fungus. Grains for spagettti or pasta are fine. Oatmeal that is cooked for cereals is fine. Oatmeal baked for cookies is fine as long as eaten within a few days. Cold grain cereals are not that good to eat because of the fungus and mycotoxins. You should never eat cold pasta salads. 12) Stored potatoes are fully colonized with fungus and contaminated with mycotoxins. Cooking potatoes kills most of the fungus/mycotoxins, however refrigerating will breed the fungus. Cold Potato salad that has been refrigerated is not healthy! Please note, storing does not mean purchasing them and storing them for use in a cool/dark place. Do not store them in a refrigerator. It may help them to last longer, however, the fungus will breed in colder temperatures to survive. However, the longer they are even stored in a cool/darl place like a kitchen cupboard, the more fungus will breed. It is when potatoes have been refrigerated after cooking that the fungus will begin to grow again. A baked potato is actually very healthy to eat, low in fat and the glycemic index. White potatoes have received a bad rap since most diets say stay away from “white foods.” Now if you pile up the butter and sour cream on a baed potatoe you are defeating the purpose. Sweet potatoes and yams are even better, but again, cook them, boiled or baked, but do not eat them raw or store them after cooking for this will begin the fungus breeding process. 13) Sugar including honey, maple syrup, corn syrup, high fructose corn syrup, sucrose, rice syrup, barley malt etc. promtote the growth of pleomorphic bacteris, yeast, fungus, and mold and suppress the immune system response up to five hours. Unless you use these in cooking or baking something which kills most of the fungus, it is not wise to use these as sweetners in drinks or drink products containing them. You should avoid all fruit juices containing corn syrup as the sweetener. 14) Vinegar or apple cider vinegar acidifies the blood and tissues which promotes the production of bacteria, yeast, fungus, and mold. However, if used in very small amounts, 2-3 teaspsoons on salads will kill any type of bacteria on the lettuce is not harmful and actually healthful to the body. Avoid using vinegar to flavor meats or soups. Using Italian dressing to marinate meat is not wise. 15) Yeast in any form including Brewers Yeast. Using the amounts needed in baking a loaf of bread is fine. The immune system can deal with small amounts. It is when you consume a number of foods daily that has yeast in it that can cause yeast infections and Candidisis Albicans. 16) Caffeine in any form acidifies the blood and tissues which promotes the production of pleomorphic baceast, fungus and mold. Small amounts of caffeine in tea or coffee is good for the body and the immune system can deal with this. When you drink more than 2 cups of coffee a day, you are exposing yourself to large amounts of the fungus. 17) High fructose fruits acidify the blood and tissues and feed the production of pleomorphic bacteria, yeast, fungus, and mold. For example, even though juices are pasteurized to kill bacteria and most fungus, apple juice has the highest capability of breeding more of the fungus as it sits on the shelf. Juices that contain the least amount of fungus after sitting is cranberry, ( very good for keeping urinary tract and kidneys infections down), also papaya, white or red grape and pineapple. Orange juice is fine if freshly squeezed or from a carton that has not been made from concentrate and drank within 1-2 days. Avoid juices made from concentrate. 18) Dried fish contains the Aspergillus fungus and the extracts from the dried fish contains large amounts of aflatoxin. Cooking kills most of the fungus. Eating raw fish such as in sushi is dangerous. There have been deaths caused from eating raw fish sush as in sushi. Never eat cold or refrigerated fish. Anchovies are loaded with the fungus as well as most canned fish meats. Tuna is fine because it has low fungus which the body can deal with in small amounts. Eating tuna packed in water is the best, however limit the amount to less than 4 ounces a day. Never eat farm raised fish like farm raised salmon or trout. Farm raised fish are loaded with bacteria due to the small areas they are raised in and are often fed hormones to make them grow faster. 19) Devitalized salt ( processed white store bought salt ) changes the negative charge on the blood cells causing them to stack or combine into symplasts which can lead to oxygen deprivation, congestion, poor circulation, stroke, and/or heart attack. Use natural sea salt such as himalayan pink or celtic which contain 80 some minerals. Actually sea salt does wonders for the body and is needed by the body. Recent studies show natural sea salt does not raise blood pressure like once thought. 20) Hydrogenated or partially hydrogenated oils as in margarine, shortenings and vegetable oils are altered fat substances which are known to be detrimental to health because they interfere with normal biochemical processes. These oils have been shown to increase cholesterol, decrease beneficial high-density lipoprotein (HDL) interfere with our liver’s detoxification system, and interfere with essential fatty acid function. FOOD YOU SHOULD EAT: ALKALINIZING FOODS: We need to eat foods which will actually heal the body. We need to eat live foods like leafy greens, foods which are high in chlorophyll. You have to alkalize the blood and tissues. You can freely eat dark green and yellow vegetables, root vegetables, freshly juiced vegetable juices, foods with high contents of chlorophyll, nuts like almonds or hazelnuts which are more alkaline. Sprouted grains and beans like alfalfa, mung beans, clover and radish, seeds, essential fatty acids from flax oil, extra virgin coconut oil borage oil, extra virgin olive oil, grains from spelt, millet, quinoa, and buckwheat, herbs, spices, seaweed, lots of onions and garlic and distilled water. Fruits like avocados, lemons, limes and grapefruits are low in sugar, and less likely to be fermented. Fresh fish that is baked or grilled, especially the cold water species. For those who suspect over acidity, fungus and/or parasites, the following two products may be of great help. 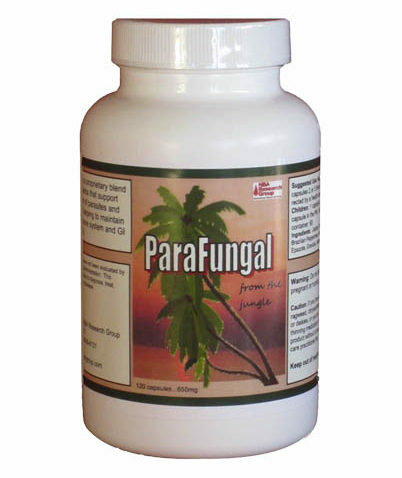 ParaFungal is for fungal & parasitic conditions.